Can a new business incubator keep a bigger slice of Navy spending in Newport? 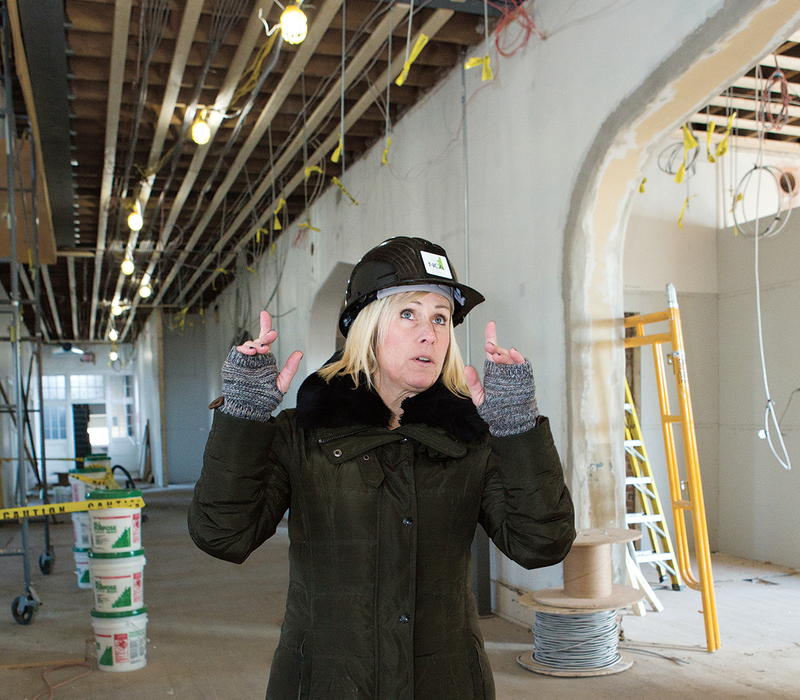 TECH INCUBATOR: Innovate Newport Director of Entrepreneurship and Innovation Tuni Schartner gives a tour of the former Sheffield School on Broadway in Newport, which will serve as the location of Innovate Newport. The business incubator will house small companies, startups and entrepreneurs in the fields of marine and environmental technology, cybersecurity and renewable energy. Thank you PBN and Scott Blake for a comprehensive article. Given the close proximity of NUWC to City Hall, you’d think that our local state, city, and school leaders would have a strong understanding of NUWC, its many career opportunities for local youth and NUWC’s contribution to our local economy. Across my 25 years in Newport, I’m hard-pressed to recall even one inquisitive comment from a school teacher, principal, superintendent, school committee member, city council member, or city manager. To them, NUWC was just an acronym. Now that NUWC and Electric Boat are challenged by waves of retirements, you’d expect that Newport’s three schools would have a new laser focus on boosting its poor STEM achievement. But, alas, the local civic energy is now focused on funding and building a $180 Million “Taj Mahal” high school that’s as far away from NUWC as one can get in Newport. Around here, “innovation” remains an alien, textbook concept.